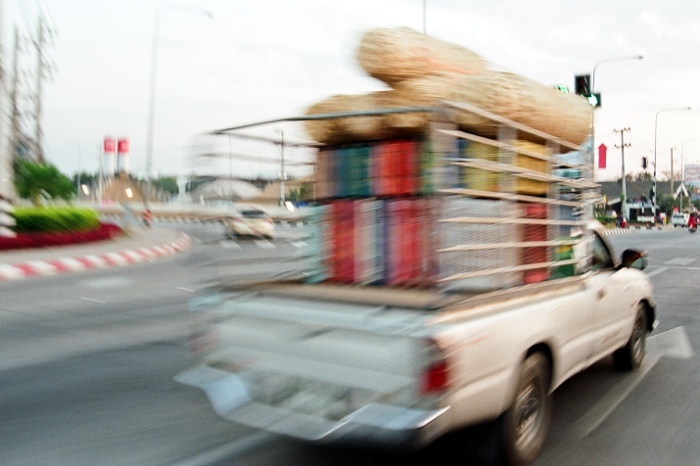 The transport used in Northern Thailand. Nikon F50, lens 28/80mm From the right to the left hand side. There are four tuks tuks and one songthaew. 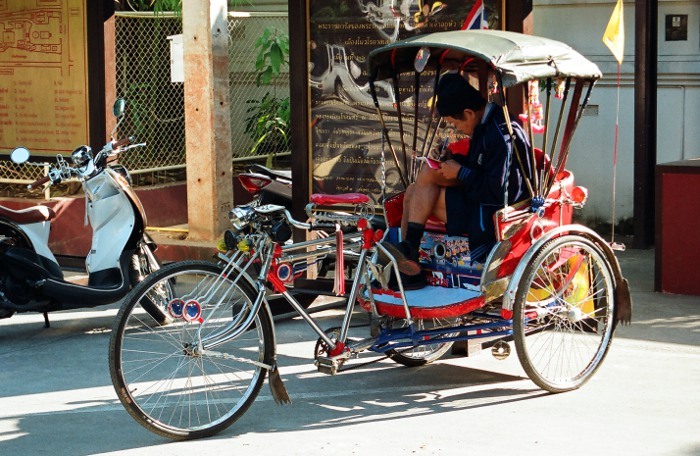 Nikon F50, lens 28/80mm This is a tuk tuk. 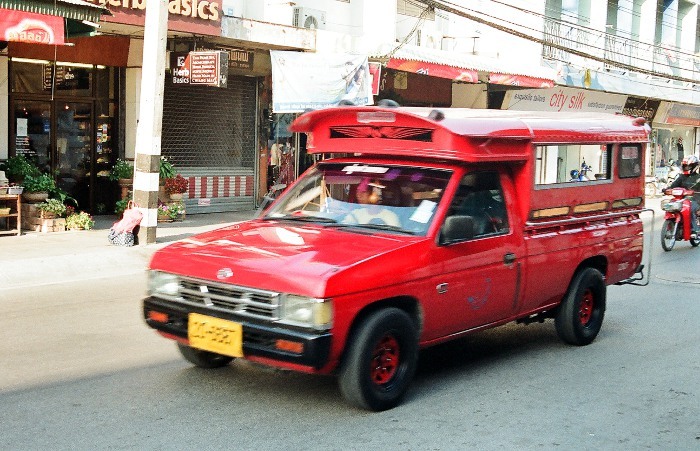 It is used as a taxi and can carry up to three persons. 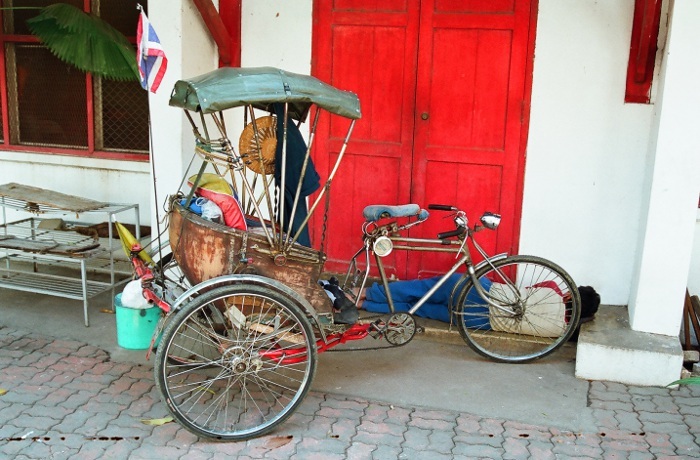 Nikon F50, lens 28/80mm This is a rickshaw. 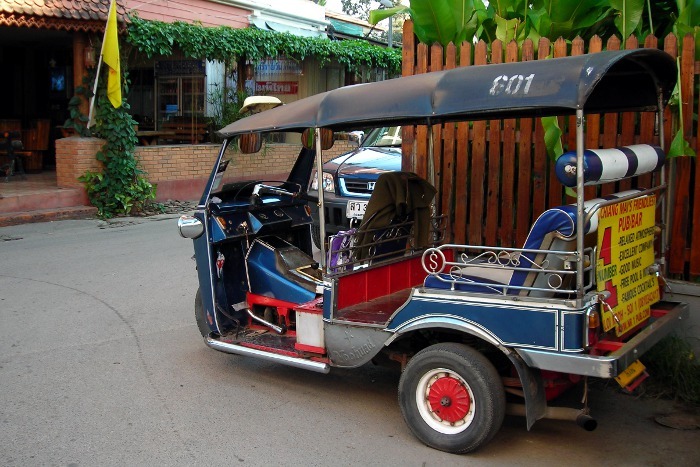 Contrary to tuks tuks, it is not motorized and can carry up to two persons. Nikon F50, lens 28/80mm This is a songthaew. 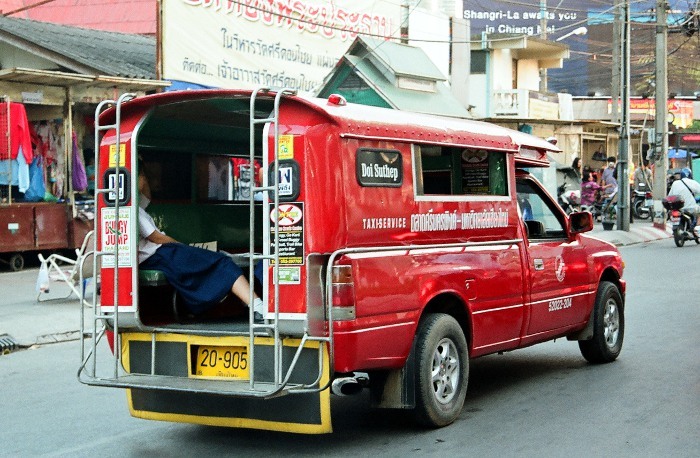 It is used as a taxi or minibus. Up to eight persons (sitting) and three persons (standing to the rear) can get into it. Nikon F50, lens 28/80mm This is a songthaew (viewed of its rear). 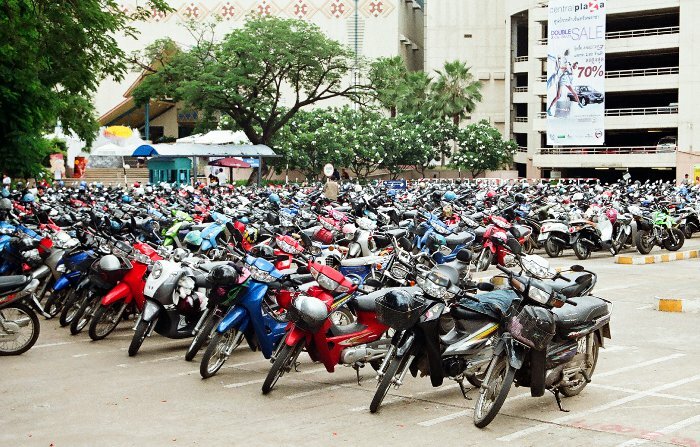 Nikon F50, lens 28/80mm Motorbike parking at Central Airport Plaza, one of the main shopping malls in Chiang Mai.